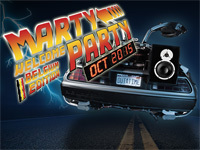 On October 21, 2015 Marty McFly arrives in the future and on 23 October, he participates to the Marty Welcome Party! 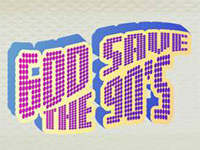 From 9PM until 6AM on the following day, join Marty at the Brussels Event Brewery for partying to the sound of the '80s, '90s and 2000s. There is something for everyone. Many surprises are planned including the presence of Marty and the mythical DeLorean! But there will also be cosplays, backdrops recalling the movies, giant screens and gifts. The party line-up includes all kinds of DJ: DJ KDR ('80), AKRO (Starflam), DJ Zwalla ('90) and DJ Monkey Foks (2000'). 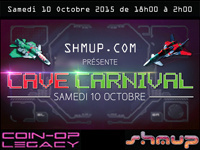 Arcade Belgium will be part of the event with 10 arcade machines equipped with games covering the years 80, 90 and 2000. Presale tickets cost €13 and €18 on-site. VIP tickets are also available in limited amount in presale. They cost €40 and provide access to the VIP bar and catering as well as a VIP photoshoot with the DeLorean. Two completely free shuttles will be present all night to take you from a parking downtown to the party and bring you back to your car. Square Enix announced Gunslinger Stratos 3 today. 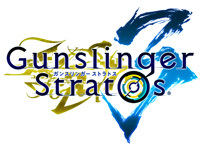 The game will be based on Gunslinger Stratos 2 but there will be three new characters and new stages. New characters silhouettes and voice actors have been unveiled: Argo voiced by Tatsuhisa Suzuki, Kathy voiced by Natsumi Hioka and Ban voiced by YÅ« Kobayashi. The game will be present at the Stratos Festival Special Night Party that will be held at the Tokyo Dome City Hall on November 20. Voice actors will be there and there will be many Gunslinger Stratos gifts to get. 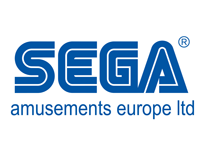 Sega Amusements Europe becomes Sega Amusements International, a subdivision of Sega Interactive. This name change is only the facade of a major reorganization at Sega Sammy Holdings. Sega Japan will now focus on the Japanese and Asian markets, offering greater autonomy to Sega Amusements for the development of the brand across the world. 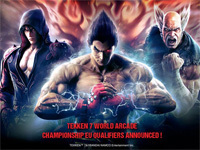 Practically, arcade games for the European and American markets will be developed by teams based in England and in the United States. They will be headed by Shinichi Ogasawara (Rail Chase 2, Gunblade NY, The Lost World: Jurassic Park, The Maze of the Kings, Let's Go Jungle and Transformers Human Alliance) who will reside in the UK. 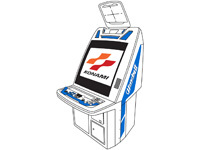 Although autonomous, Sega Amusements International can count on the full support of Sega Japan. 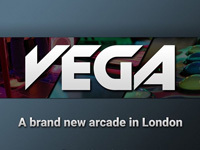 The headquarters of the company remains based in London and Paul Williams, the current COO of Sega Amusements, becomes CEO of the new entity. 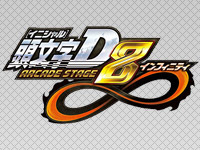 If we can now forget about official European release of games like Initial D Arcade Stage 8 Infinity and maimai ORANGE PLUS, we can trust them to develop titles that will make good income in our region. 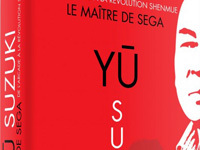 As a reminder, Sega games are distributed in Belgium by Red Sun Systems.